Go to www.mindaharts.com and find out more! On this week’s episode of Secure The Seat, I interview Dr. Alicia Makaye. We discuss how to get out of our comfort zone and own it. Dr. Makaye is the Co-Founder of GXA in Dallas, Texas. In 2019, Dr. Makaye received the Minority Business Leader Award by the Dallas Business Journal. She is also a philanthropist. You can find out more about her work at www.gxait.com and connect with Alicia on Instagram. On this week’s episode of Secure The Seat, I interview Sherrell Dorsey. She is Data Journalist. Entrepreneur. Inclusive Ecosystem and Smart Cities Strategist. Sherrell runs BLKTECH Interactive—North Carolina’s first hub supporting over 2,000 entrepreneurs and technologists of color across three cities. She is also the founder of daily tech newsletter, ThePLUG, covering founders and innovators of color. Her work has been featured in Inc., Bloomberg, VICE, The Root, and other notable publications. Connect with Sherrell at www.sherrelldorsey.com. The Intersection of Identity and Love. In the season 3 opener of Secure The Seat, I chat with my special guest, Jodie Patterson about her new book The Bold World. Jodie Patterson is a mother of five and an active LGBTQI ally who has been recognized for her activism by Hillary Clinton, The Advocate, GLAAD, Family Circle magazine, Cosmopolitan magazine among others. You can purchase her new book The Bold World at www.georgiany.com. I curated a playlist based off conversation from Season 1 and 2 of Secure The Seat. Go to www.mindaharts.com to listen. In the season 2 finale of Secure The Seat, I chat with my special guest, Michelle Gadsen-Williams about her CLIMB as a Woman of Color in Corporate America. 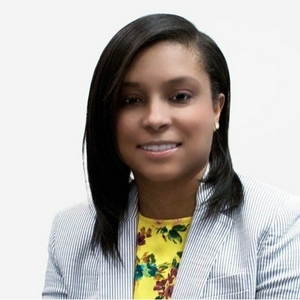 MICHELLE GADSDEN-WILLIAMS is an award-winning global diversity expert, activist, philanthropist, and the managing director and North American inclusion and diversity lead at Accenture. Purchase her book Climb where ever books are sold. When was the last time you made a commitment to yourself? What people, places, or things are not serving you going into the new year? This week Minda has a hart to hart on committing to yourself. Securing your seat will require a strong commitment to self. Life can be one big “Waiting List” when you are at the intersection of your purpose and the pop off! Hold tight, and be ready when it’s your turn. This week Minda has a hart to hart on dealing with waiting on your goals to manifest. Secure your Seat as if it has already happened! Are you more concerned with WHO isn’t supporting you versus those WHO are? Minda has a hart to hart sharing her 3 tips on how to shift your focus to those who are supporting you and letting go of those who aren’t there for you. Focus on your WHO! It will make securing your seat that much easier! Is your self belief system shaky? Minda has a hart to hart on some winning combinations to Secure Your Seat on the inside. Don’t forget to feed your inner self on the way to your seat. On today's episode of Secure The Seat, I chat Imposter Syndrome with Jaya Saxena. Jaya Saxena is a diversity and inclusion strategist, career development professional, and social justice advocate. After having spent almost 20 years navigating a career in the legal and nonprofit sectors, she has developed a strong commitment to helping individuals find authentic fulfillment, both personally and professionally. Connect with her on Twitter and LinkedIn. In this week's episode of Secure The Seat, I interview Alex Wolf. We discuss everything from social capital to innovation. To find out more about Alex go to www.alexwolf.co and purchase her new book Resonate. RESONATE is Wolf’s informative and occasionally hilarious look at the intersection of human nature, technology, and how understanding both can help anyone creative build a following of their own. Burnout is real, but it doesn't mean you have to start from scratch. Learn from RM Harrison, Business Strategist and Pivot Consultant on how to foster sustainable success and how to position yourself for life after burnout. To find out how to connect with RM Harrison go to www.rm-harrison.com/ and purchase her book The Pivot Map on Amazon. What is it going to take to get you to your win by the end of this year? Minda has a hart to hart on some winning combinations on how to Secure Your Seat before the end of 2018. How do you find the inner boss that leads you to find who you are at the core? How do you focus on yourself and not what others say about you? Essentially, how do you become free to focus on you! Learn from my guest Martha Ramos, Entrepreneur, Motivational Speaker, and Life Coach. To find out how to connect with Martha go to www.marthalramos.com and follow her on Instagram @mramosofficial and on Facebook. It can be draining playing a character at work. How can women of color show up as themselves in a workplace that sometimes doesn't value authenticity? Learn from my guest Tiffany F. Southerland, Career Coach and Change Maker at Four Corners Coaching on how to be authentic at work. To find out how to connect with Tiffany, go to www.fourcornerscoach.com. Also, check out her podcast at www.howdoesshedoitpodcast.com. Have you ever been embarrassed about having a day job while you build your business? STOP IT! There is no shame in being your first investor. Knowing when it's time to transition from your 9 to 5 is critical. Learn tips on figuring out when it's time to leave your 9 to 5 and knowing it's okay to work while you build. I interview Regina Gwynn, Co-Founder, and CEO at TresseNoire about when she knew it was the right time.. To learn more about Regina and her company go to www.tressenoire.com. Do you hold multiple career titles? Learn how to navigate multiple titles while staying true to your brand. Learn how Lauren Bealore navigates politics, entrepreneurship, and advocacy. Lauren is a Political Savant and Entrepreneurial Opportunity Maker. Learn more about the organization she Co-founded Y.A.B. What do people say about you when you're not in the room? Learn how to perfect your PRESENCE! Today's guest is Kailei Carr. Kailei is the CEO of The Asbury Group LLC and is passionate about helping high-powered women “show up” in a way that is authentic to who they are! Also, check out her podcast Beyond The Business Suit. Learn how the Gig Economy is important for the employer and the creative. Today's guest is Elena Valentine. Elena is the CEO of Skill Scout and is passionate about Skill Scout because she believes job seekers need another way to tell their story and show what they can do. Also, check out Mezcla Media Collective a hub for diverse boss women behind the camera. Go to www.mindaharts.com for the show notes. If at first you don't succeed, dust yourself off and try again. Failure is the other F-word, but how do you bounce back? Today's guest is Kanika Tolver. Kanika is no ordinary “social-preneur.” This former highly decorated government employee turned rebel entrepreneur and Certified Professional Coach is a serial innovator who’s fueled by an extraordinary commitment to social change and to helping others create their own “epic lives.” To learn more about her work go to http://kanikatolver.com/ and purchase her book Life Rehab. Equal Pay Day is April 10, 2018, and it's important we have the tools and resources we need to make the ask! Today's guest is Jamie Lee, Negotiation and Leadership Coach. Jamie gives us tips on how to make "the ask" and dispels the myths around Salary Negotiation. To learn more about her work go to www.jamieleecoach.com. 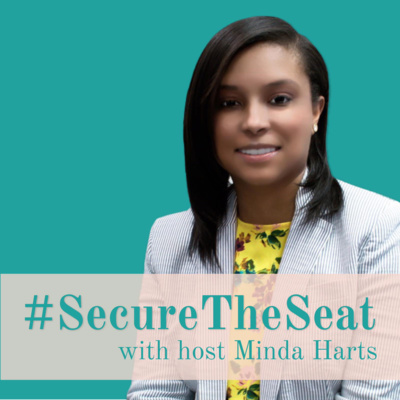 Learn more about your host of Secure The Seat, Minda Harts. Welcome to #SECURETHESEAT a weekly podcast to help women of color advance in the workplace.